Age of Mythology (or AoM) is a real time strategy game based on the Age of Empires series (it is in fact a spin-off of the series). 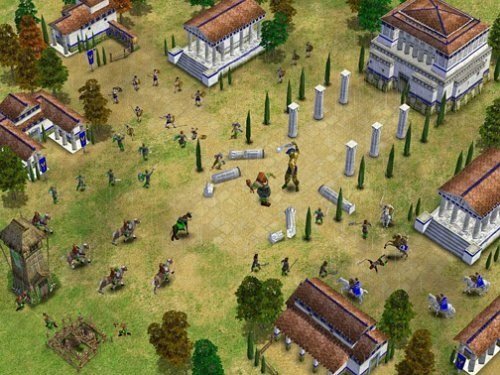 Age of Mythology was developed by Ensemble Studios and was released back in 2002, the game is highly rated by fans and critics making it one of the top rated real time strategy games still to this day. 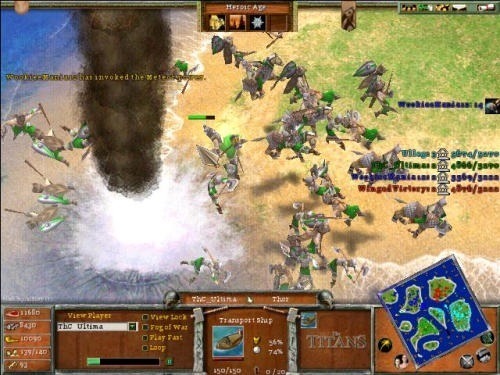 The gameplay on offer from Age of Mythology is similar to that of Age of Empires and has players tackling a lengthy campaign (over 30 scenarios) that features aspects of Greek, Norse and Egyptian mythology. Age of Mythology follows a standard real time strategy framework to offer resource collection, town creation, army building and a rock-paper-scissors combat model. Just like in the main Age of Empires series (and most other RTS games) players will advance through different ages with each age unlocking new units and technologies. Age of Mythology has four different ages to experience; Archaic, Classical, Heroic and the Mythic Age. Players will experience all three civilisations through the single player campaign and can also use them in multiplayer game modes (four races with the addition of The Titans expansion pack). To add an extra layer of strategy (and incorporate the idea of mythology into the game) each civilisation has three major gods which must be selected at the start of the game. This major god unlocks technology, units and also offers a powerful one time ability that can turn battles in an offensive or defensive manner. As players advance through the ages you can also select minor gods which have a similar impact on gameplay. This wide selection of gods available allows the same player to take a particular civilisation and play them entirely differently which is the cornerstone of the game’s success in both the online and single player environment. A spin-off game of the original Age of Empires game. Use a variety of mythological powers to turn the tide of battle. Trial version available from the official Microsoft website (see below). Recruit a number of legendary monsters to use. Experience Greek, Norse and Egyptian culture.